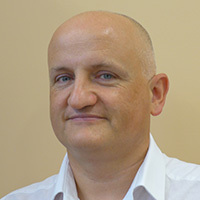 Dr Michal Kacperski is an R&D Manager at PCC Rokita SA, Polyol Business Unit. He gained his PhD in Polymer Technology in 2000 at Szczecin University of Technology, Poland. He has academic and industrial experience in the areas of polyurethane foams, polyols, adhesives, epoxy resins, polymer composites and others. He spent extensive time working in Poland, the United States and Saudi Arabia. He is an author and co—author of over 25 publications, conference presentations and patents. For many years the variety of polyols used for one-component foams (OCF) was very limited. This presentation will introduce a new family of polyols developed for the improvement of OCF properties. The Rokopol iCan® series includes several products that differ significantly from each other in selected parameters. The influence of novel polyols on OCF properties will be presented. The improvement of such properties of the foams as yield, tack-free time, cutting time, foam structure and dimensional stability will be shown. In addition to that, some options to reduce consumption of PMDI for OCF production will be analysed.